1815 MST: LX600 ON, StarLock OFF, High Precision OFF. Viewed Mars, 102X. Nothing impressive. Next, I did an AutoStar One Star alignment to refine the star alignment, followed by a SYNC on the star Aldebaran. Also, tweaked the straight-through finderscope alignment. I then prepared the D850 DSLR for prime focus galaxy imaging for my Extragalactic Supernova Project. 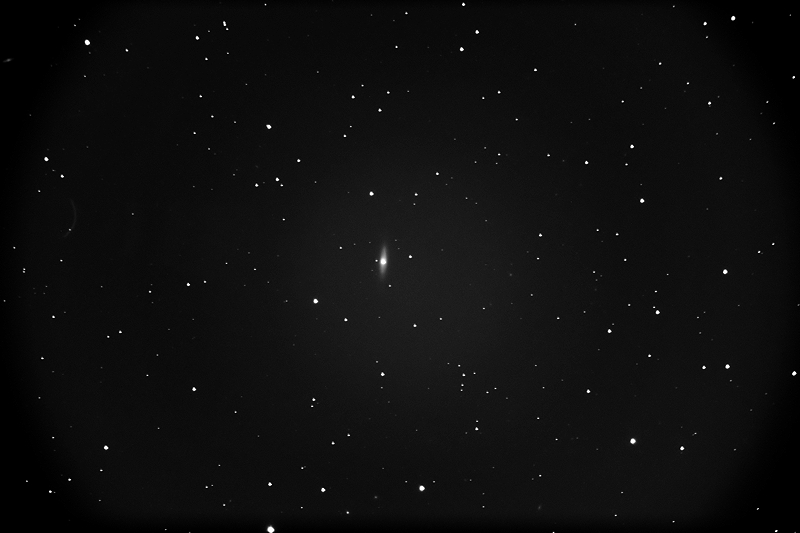 I planned to image NGC676 and NGC772 this session. 1844 MST: Dome OFF (onto PZT). Mounted the D850 DSLR at prime focus of the 12" telescope, focused on the star Aldebaran, and locked the 12" primary mirror. 1857 MST: the Zodiacal Light was very visible in the dark western sky. 1904 MST: High Precision ON. Since the seeing was so bad I decided to give up for this night. 1929 MST: StarLock OFF, High Precision OFF. After removing the camera from the telescope I viewed M42 (the Great Nebula in Orion), 102X. 1937 MST: LX600 OFF, Dome ON.